Brandon Turner is the VP of growth and communications over at BiggerPockets. They have an incredibly successful real estate investment website plus a super successful podcast on iTunes called BiggerPockets. 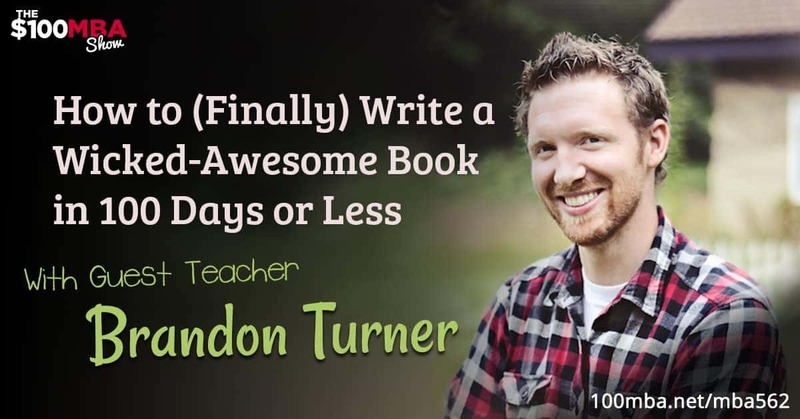 But the episode title says, “How to (Finally) Write a Wicked-Awesome Book in 100 Days”. Yes, Brandon is going to teach you today how exactly you can do this because he has just done it. And we promise, this lesson is fun so if you’re ready to smile and learn, hit play! No time to decide what to cook and how to cook it? Plated is here to show you that cooking meals is easy and fun with no meal planning and shopping time needed! Go to Plated.com/MBA to get your first Plated box plus a free dinner for 2 with your first delivery!